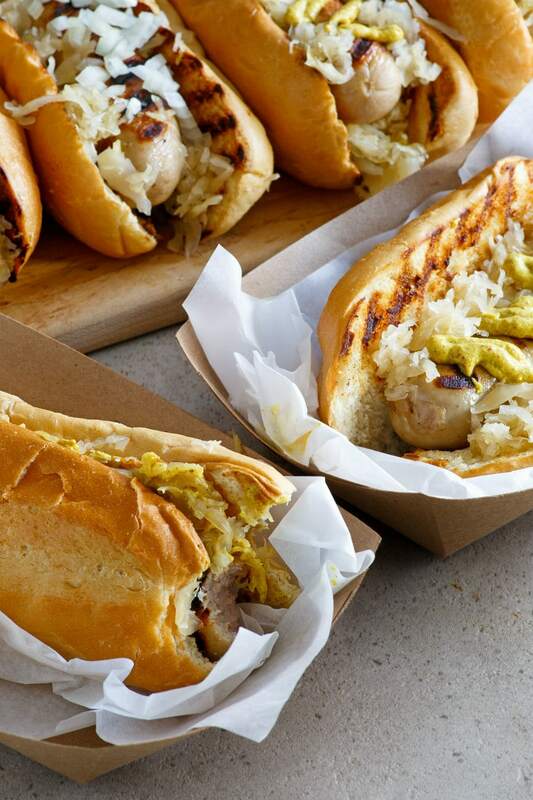 Bratwurst Subs are the best to serve at a barbecue or tailgate party. Bratwurst is a German sausage made from veal, beef or pork. 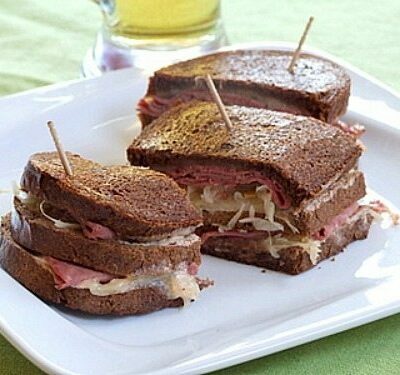 The name is derived from old German: brät is finely chopped meat, and Wurst is sausage. 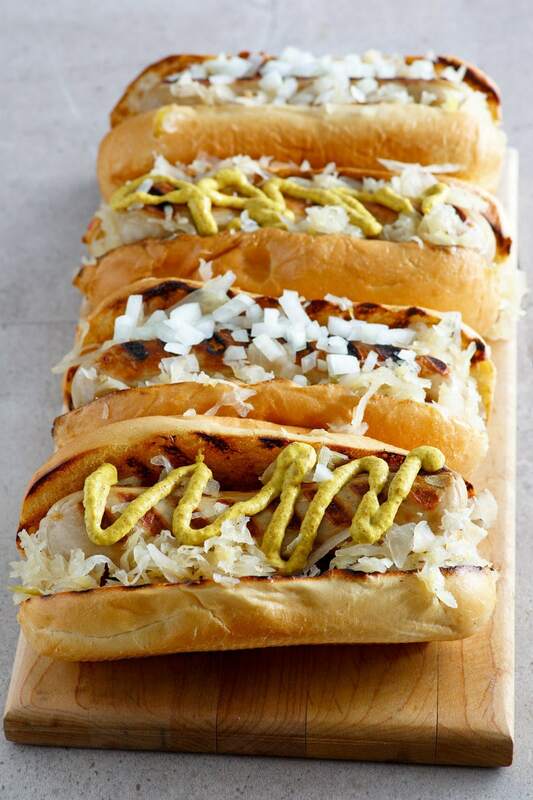 The first mentions of making Bratwurst in Germany date back to 1313! If you’re touring countries with a large German population, it’s common to see carts where people are selling Bratwurst-to-go. 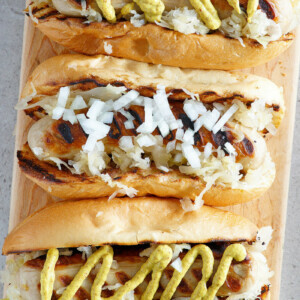 In the United States, Bratwurst is a common type of sausage. You’ll see it at summer cookouts alongside the more popular hot dog. And it has become a mainstay staple at sports stadiums too. Bratwurst is greatly popular in Wisconsin, where the largest ancestry group is German. 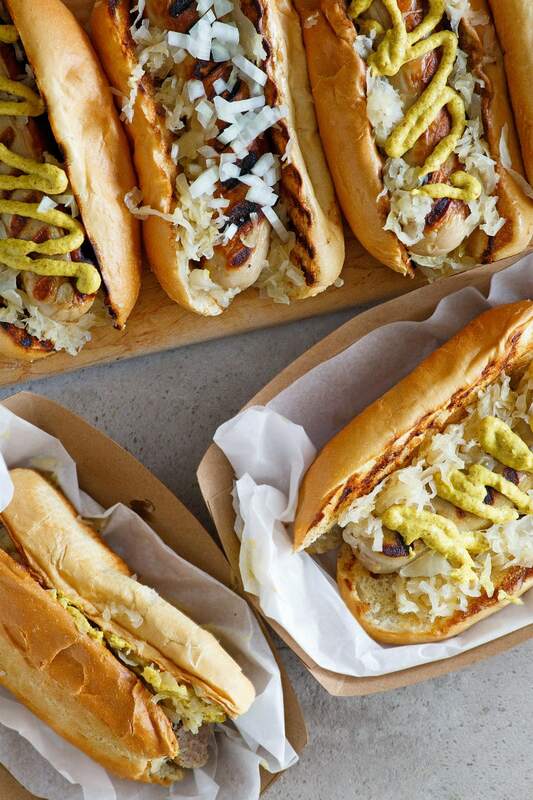 Wisconsin is home to the Beer Brat, where Bratwurst is simmered in beer before grilling. That’s how these Bratwurst Subs are made! 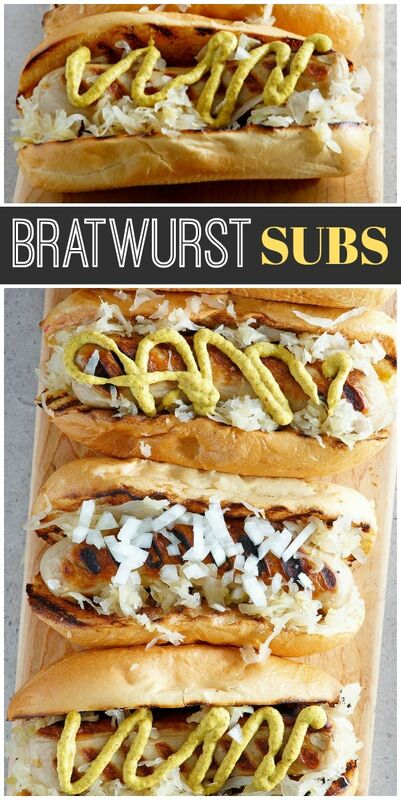 What’s the best way to make Bratwurst Subs? 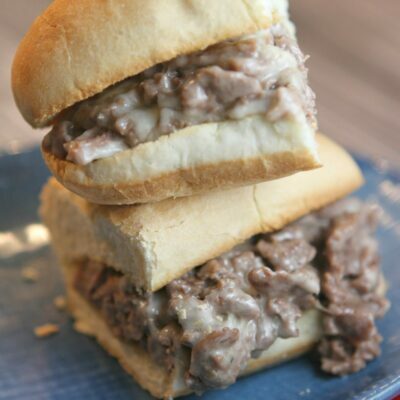 The best way to make Bratwurst Subs is to simmer them in beer before grilling. Classic Brat recipes might call for simmering in a mixture of beer, onions and butter. This recipe simply calls for simmering in beer (add the onions and butter, if you’d like). The Brats are simmered for 10 minutes, which is just enough time to cook them all the way through. I love that about this recipe because you don’t have to worry about whether or not the Brats are cooked through on the grill. Next step is grilling… just long enough to heat them up and get some good grill marks. Add the Brats to the buns and top with condiments. What kind of beer should I use for this recipe? It’s recommended that you use your favorite Pilsner. Don’t grab the cheapest beer possible to make Bratwurst Subs, but you don’t need an expensive brand either. It should be a beer with a flavor that you enjoy. You’ll need enough beer to cover the Brats in the pot so they’re submerged while simmering. A 6-pack should be just about right. Yes, I realize it might be hard to pour all of your beer into a pot without drinking any… but it’s all part of making the best Bratwurst Subs! You can certainly use hot dog buns. But you might find if you have some wimpy brand of hot dog buns that they aren’t substantial enough to hold a hearty link of Bratwurst. My suggestion is to use a more gourmet, larger-sized long roll. My husband likes to throw the rolls on the grill too. I like to butter the rolls first and then grill them. So easy to make, and everyone loves them! Boil enough beer to cover the bratwurst in a pot. When the beer is boiling, add the brats and cook for about 10 minutes. 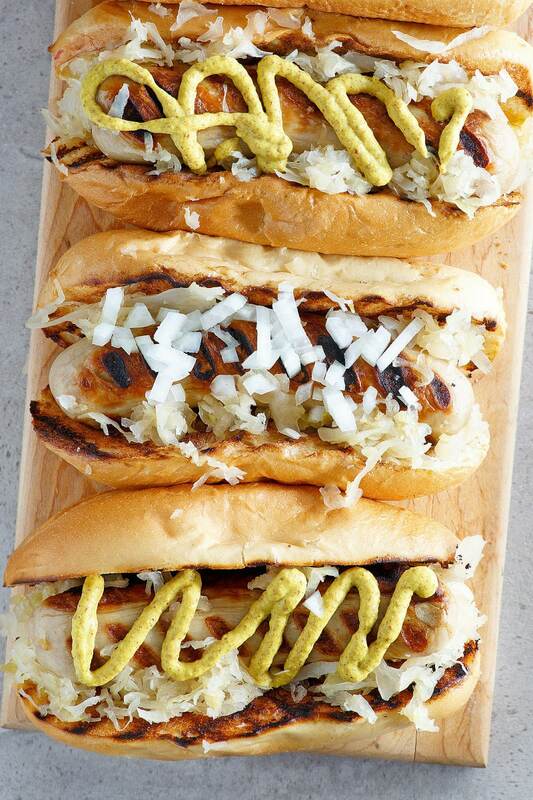 Drain, and put brats on a platter to bring to the grill. Heat your grill. Grill the brats until crisp and brown on the outside; don't overcook them as they are already cooked through on the inside. 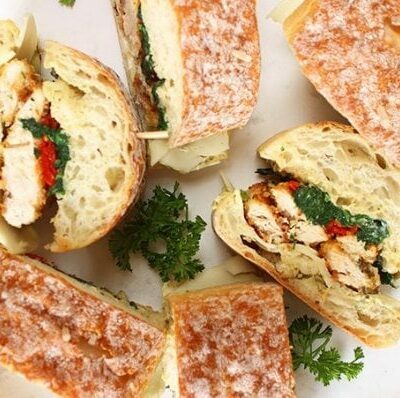 Grill the sub rolls too, if desired. 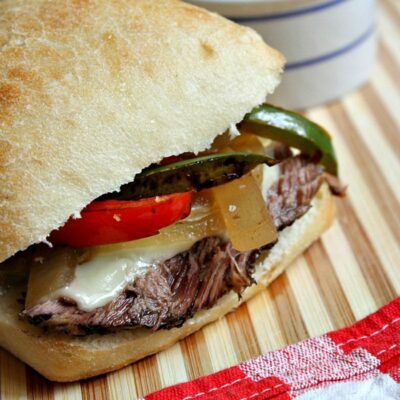 Serve on sub rolls with sauerkraut, mustard, onions or other desired toppings. If preparing these for a tailgate party, boil the brats at home and then grill them at your tailgate. If you have dietary restrictions or allergies, please be sure to read labels and make sure you are using ingredients that are safe for you to eat. Some brands of bratwurst and rolls are free of dairy and egg, but please double check labels to be sure. This recipe was originally published in 2007. It was edited and re-published in 2019.